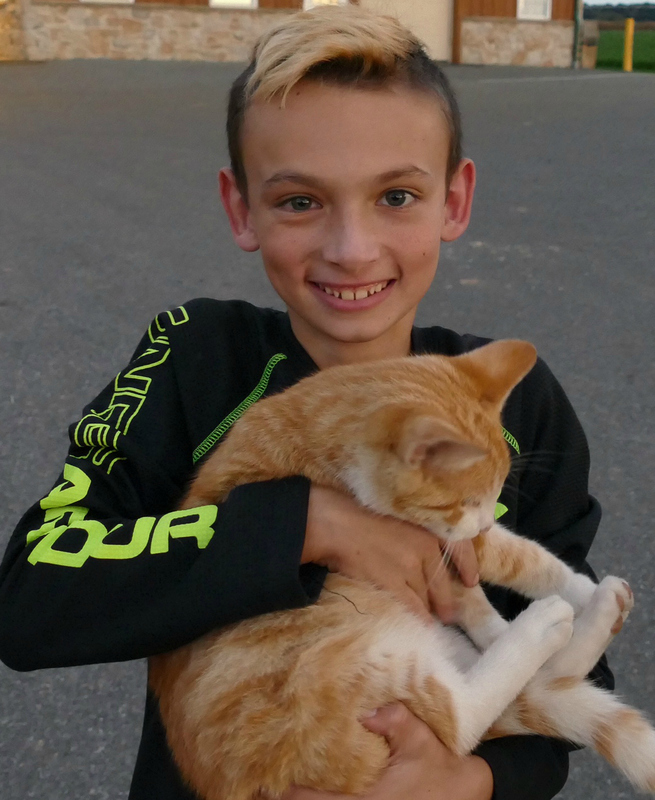 Grant is 12 years old and was diagnosed with celiac disease at 11 years old. Grant wasn't having any GI symptoms. He was suffering from achy joints, and did not grow for two solid years. Because neither his father or mother are very tall, doctors dismissed it as him being a late bloomer. When I pushed for a blood test, it came back positive and our family doctor said to cut back on the amount of gluten he was eating. Mom knew this was inaccurate, and took Grant to Cincinnati Children's for more complete testing, which was definitely positive. Mom was diagnosed 6 years ago. He's started growing! He's gotten taller and gained some pounds. And he says his joints don't ache like they did. He gets discouraged sometimes (don't we all?) by not being able to eat whatever he wants, but he doesn't cheat and always reads his labels. Focus on what your child CAN eat. And frame it in a positive, empowering way. "We can choose to eat this thing so we are healthy". And of course, read every label every time. Grant, I'm so happy to hear you are growing and have gained weight! And no more achy joints, Amen! I have achy joints, so I know what that feels like. And it looks like you are pretty strong too, as the cat looks pretty heavy. ;) Have a great summer Grant! And yes Mom, a POSITIVE attitude is a MUST for parents. We have to be an EXAMPLE to our kids! I say EMBRACE IT instead of FIGHT IT.